Large, brand-name companies seem to have no difficulty closing multi-million or billion-dollar loans with equally brand-name banks. But if you’re not Staples, everybody doesn’t know your name. What do you do if your company needs working capital or short-term financing and doesn’t have a name instantly recognized by one and all? Maybe you are a hard-working manufacturer and only need $50,000 to purchase materials for a large order. Where do you turn? In July, Bryan Ballowe and Clinton Stanton launched TradeCap Partners to meet the needs of borrowers who could not turn to banks for assistance and sometimes could not even obtain the financing they need from ABL lenders. It has been an exciting experience for the duo, who worked together at King Trade Capital the previous eight and a half years. “There’s nothing like having your own little labor of love to wake up to each morning and watch it take shape,” Ballowe says. The pair have 35 years of lending experience between them, and both started their careers at large banks. 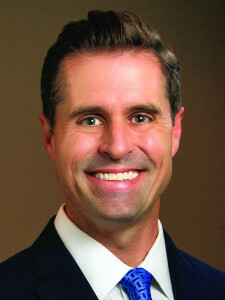 Ballowe began his career at Bank of America in the media and telecom corporate lending group. Stanton started out at Citibank. “At the time, we were the lead bank on pretty much any major transaction being underwritten in the media and telecom industries,” Ballowe recalls. His clients included media giants like Viacom and WorldCom Nextel. After two years in the industry, Ballowe says, he started getting calls from headhunters with offers to lure him away. But it was a call from a basketball buddy from college that changed his life and connected him with Edward King, who had recently opened King Trade Capital. “He brought me on to provide some of the credit background and some standardization. We started developing a database and letting people know what purchase order and supply chain finance was all about. Twenty years later, we were still together. Edward’s just a great guy,” Ballowe says. Stanton followed a similar trajectory. He began his career at Citibank as an analyst and worked his way up to a vice president role within the middle market banking group where he focused on financing companies with international trade needs. One of those companies happened to be King Trade, where he was introduced to Ballowe. “We developed a relationship having worked together on opposite sides of the table and one day he came and asked if I would be interested in working with them,” Stanton recalls. After working for a bank he describes as a “3,000-pound gorilla,” Stanton was ready to make a change. Of course, if you are entrepreneurial, the end game is owning your own business. So, last summer, the pair decided to plant a stake of their own. 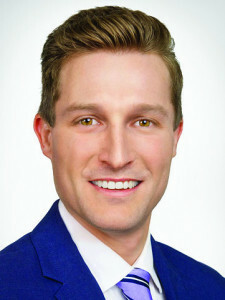 Stanton and Ballowe had the requisite finance experience and connections with industry partners. They were able to raise capital privately, develop a banking relationship and get into the market. TradeCap Partners specializes in providing alternative inventory finance solutions through purchase order, supply chain and trade finance. “It’s not just a straightforward ‘Hey we’re financing finished goods transactions going from one supplier from point A to point B’. We will step in and provide several types of transactional financings including those involving multiple suppliers and production financing. Often there’s a value-add or manufacturing process required on the front end by a manufacturer or distributor to be able to fulfill an order or a contract. Bryan and I felt there was a void in the market we can fill,” Stanton explains. Ballowe points out there are companies focused on one aspect of the purchase order and supply chain financing business, such as providing letters of credit for finished goods. At TradeCap, they are looking to provide a menu of options for borrowers, and they are also prepared to work with banks, factors, ABLs and other lenders who need a way to fill in financing gaps for clients. “Clinton and I have a really good handle on understanding what it takes to provide funding for production transactions a lot of folks tend to stay away from,” Ballowe says. Both Stanton and Ballowe are familiar with the technology that has transformed the 21st century. Stanton notes that while many lenders are comfortable with finished goods finance, TradeCap can help distributors selling hardware and software to companies as well. While brick-and-mortar retail is clearly in crisis-mode, Ballowe sees an opportunity for TradeCap with online retailers. “Amazon is an amazing conduit for suppliers,” he points out. Many of the items sold using the Amazon platform come from smaller retailers utilizing Amazon’s fulfillment services. “Finance companies continue to provide the best service possible to keep inventory levels at the peaks where you know demand is being met. So that offers a lot of potential for companies like ours to be able to provide a solution for those businesses selling online. We are able to not only help them grow the business, but we are able to provide a lot of unique solutions out there that may have not otherwise been readily received. Because this type of financing is transactional, offering speed and flexibility in customer service as well as developing excellent relationships with senior lenders and other industry partners are critical. Ballowe says clients appreciate that he and Stanton understand their business and enjoy working with them. Stanton emphasizes TradeCap is looking to be a valued partner for other lenders as well.